“For the most part, all went according to plan at UFC 197 on Saturday at the MGM Grand Garden Arena in Las Vegas. Four out of five betting favorites on the main card won comfortably, and the only upset — Edson Barboza’s win over Anthony Pettis — was the closest betting line of the night. At a closer look, how the favorites went about winning led to both pleasant and unpleasant surprises, namely how Yair Rodriguez and Demetrious Johnson won easier than expected while Robert Whittaker and Jon Jones took longer than anticipated. Overall, though, it was what we thought it would be. As such, the post-fight atmosphere didn’t offer much in the way of new information. 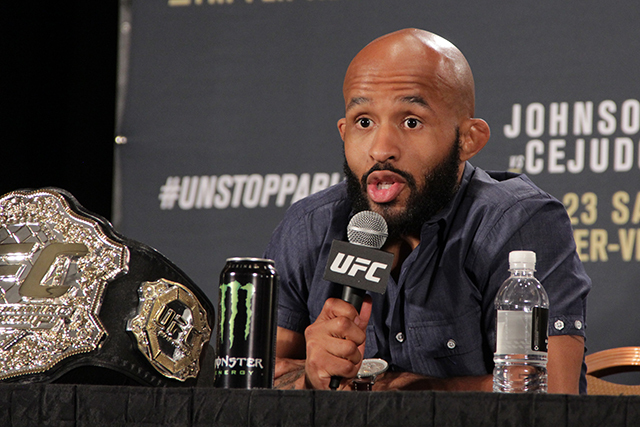 Jones will go on to fight Daniel Cormier as was originally planned; Johnson is still untouchable at flyweight; and Barboza, Whittaker and Rodriguez are still at varying points on the continuum of prospects and potential title contenders. The absence of buzz was probably due to a mixture of things: the ongoing tug-o-war between Conor McGregor and the Ultimate Fighting Championship, the lost luster of a Cormier-less headliner and the fact that the substitute main event was a dud of a fight. Whatever it was, the discussion after the fight centered on the mythical pound-for-pound rankings, specifically who deserved the number one spot between Jones and Johnson.